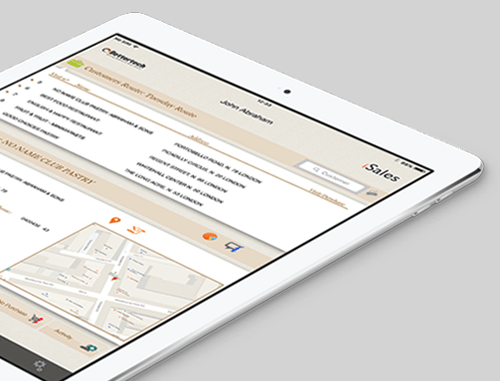 iSales is a native iPad application directed to sales teams in pre-sales activities, letting teams present products, registering orders and other actions related to the products portfolio. 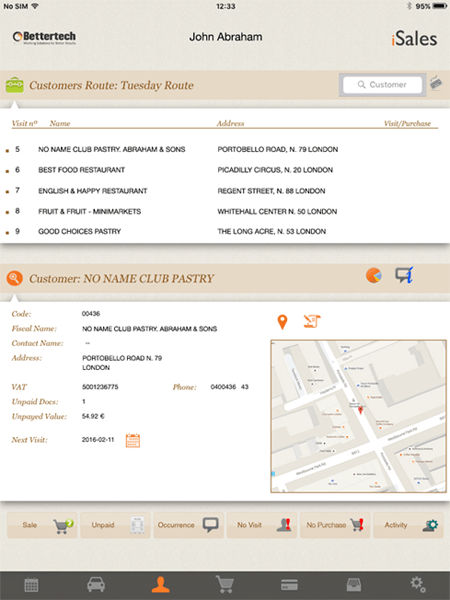 This mobile application offers a wide range of features that improve sales performance and supports the mobility of your business. 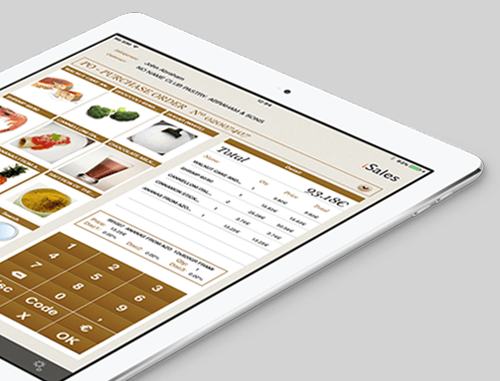 iSales lets users register orders on an iPad terminal, making products and catalogs available to sales and marketing teams or other users that may need to access information on the go. 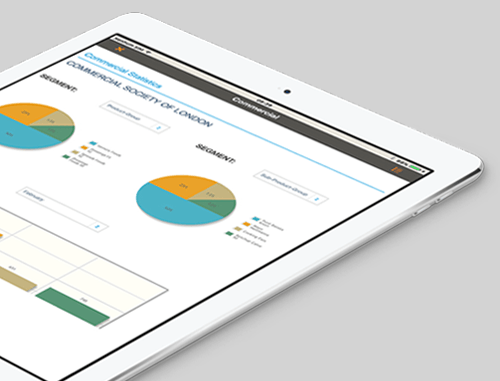 →Access to commercial and financial dashboards. 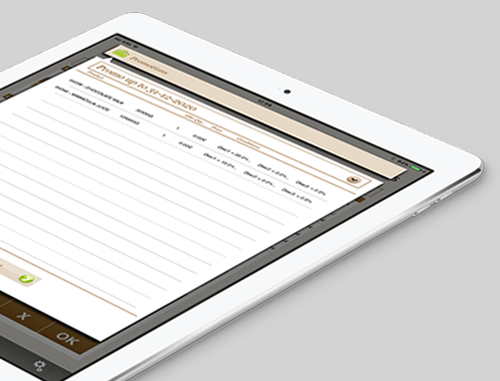 With iSales, the registration and collection of orders in real time in a paperless environment is a reality. 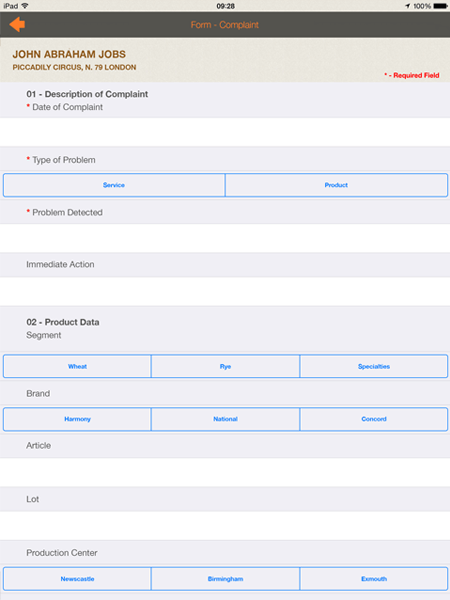 The user has the possibility to look up the customer history and calculate various scenarios of acquisition. 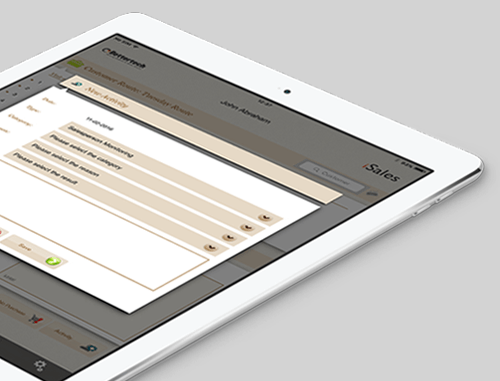 iSales allows the configuration of a set of goals that can be directly associated with an agent, a department or a customer. The access of these objectives in real time, through context and location tools, contributes to the performance and motivation of employees. 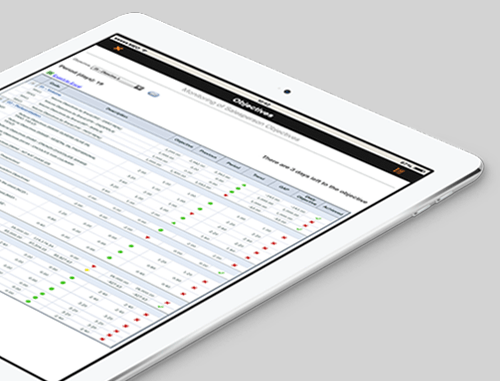 →Real-time reports and simulations of proposals and scenarios. 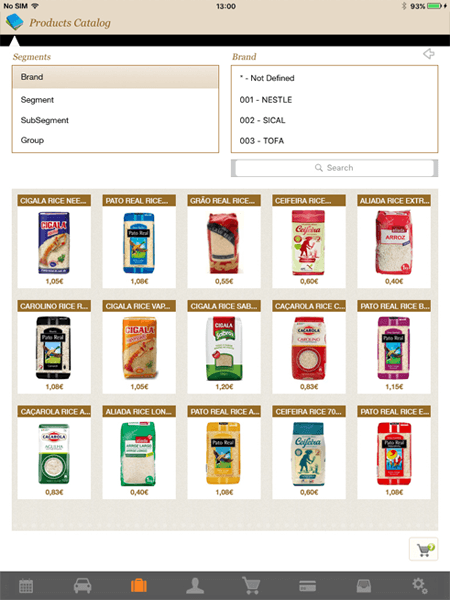 The iSales provides an interactive catalog, generated dynamically through filters and user preferences, and based on the customer buying characteristics. 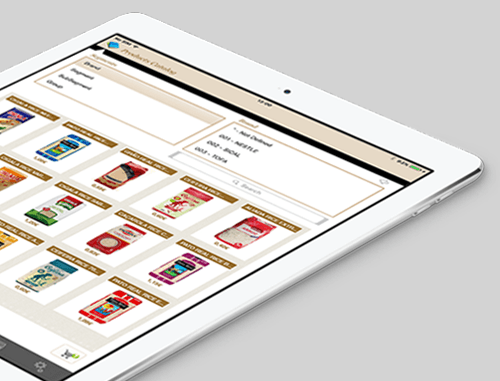 The catalog provides technical and detailed sales information for each product and is synchronized in real time. 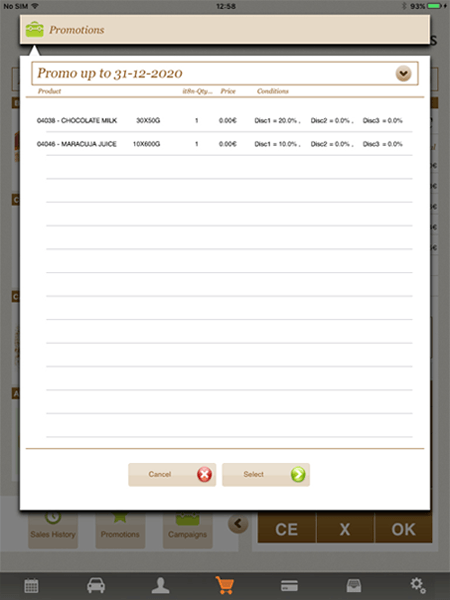 During a commercial visit, iSales allows the gathering of different types of forms designed for the collection of information about the customer or the visit. 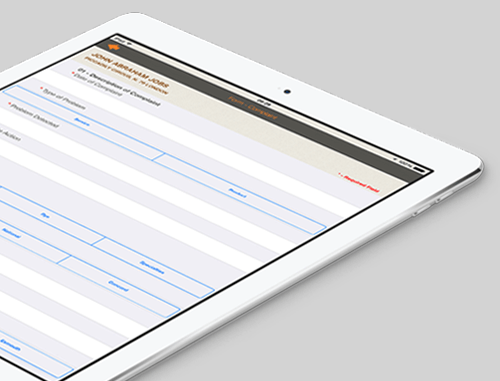 Forms can be tailored to each industry or market segment and are parameterized via different types of value fields and validations. Smartphones and tablets are quickly becoming the preferred tool for many business professionals. 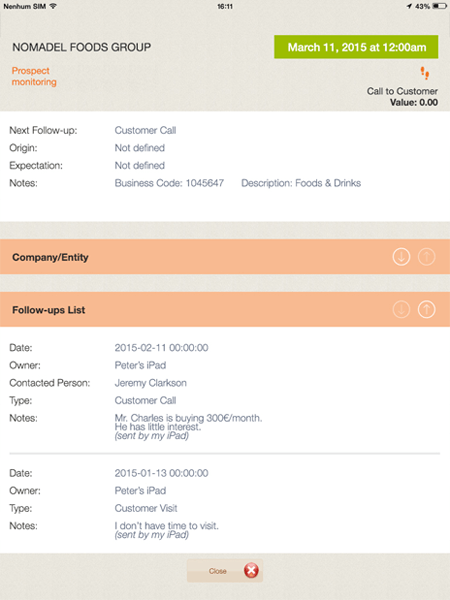 iSales offers the potential of a CRM on a mobile device and provides opportunities to gather contacts and sales, and its subsequent follow-ups. →Market information in real time. The management of the agenda is a critical feature for agents that work outside the office. 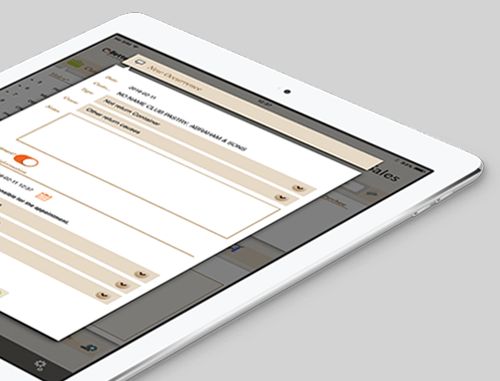 iSales not only offers a completely functional schedule management, but also the chance to register and monitor the occurrences or incidents relevant to the commercial activity. The details of the activities carried out by sales agents while with their customers must be available for consultation at any time. 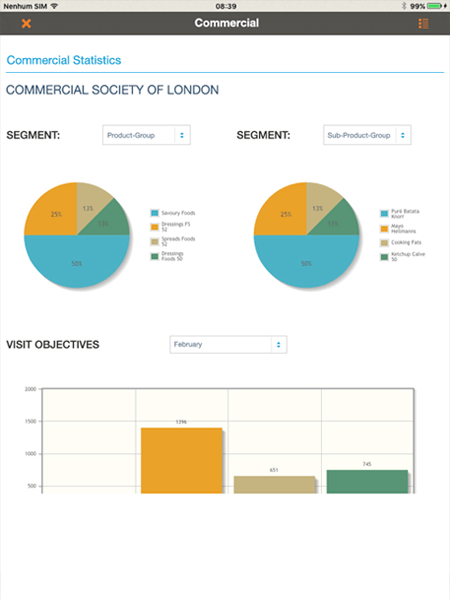 The possibility to configure and register activity types, together with its ubiquitousness access, makes iSales a must have CRM solution to follow customer prospects and deals. →Introduction and access to documents. 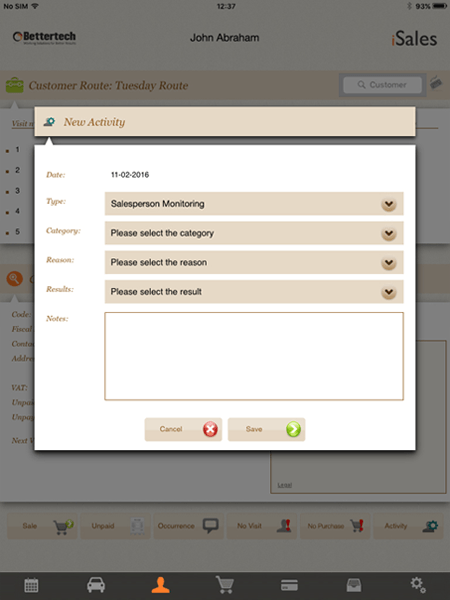 Orders registered on a customer site must be immediately communicated to several systems in order to streamline operations and stock control. 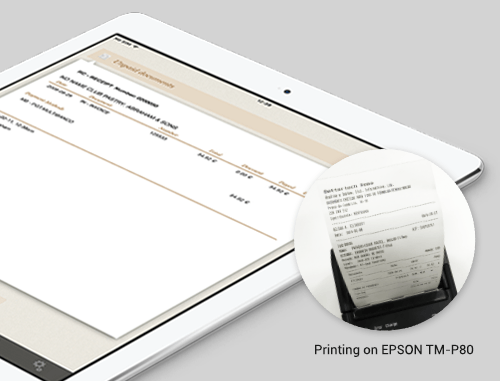 iSales allows the printing of order forms on site or be sent to email addresses or third party systems, and enables the subsequent monitoring of the evolution of the logistics process. 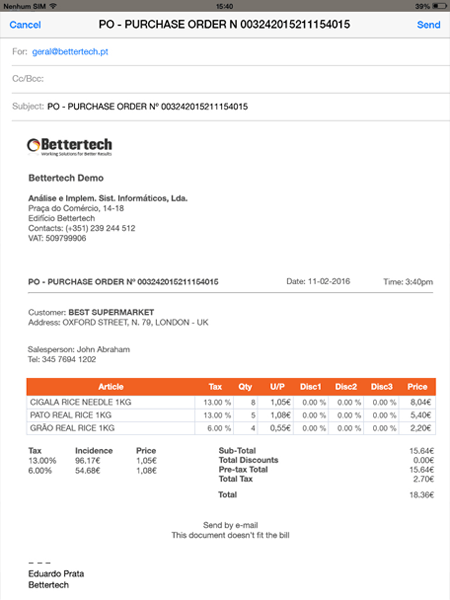 →Integration with email and management systems. 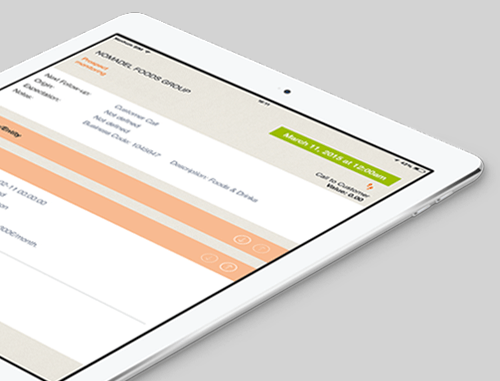 Payments are managed by the application and based on the customer's current account. 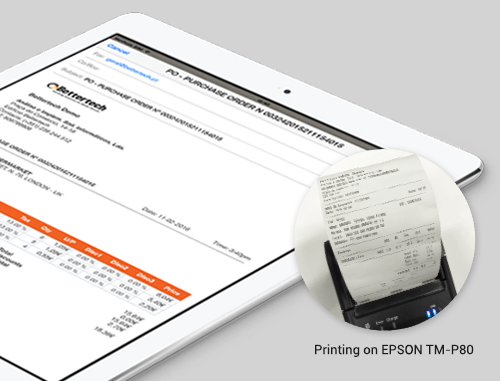 The respective receipts can be immediately issued to a mobile printer, to the client printers or sent directly by email. 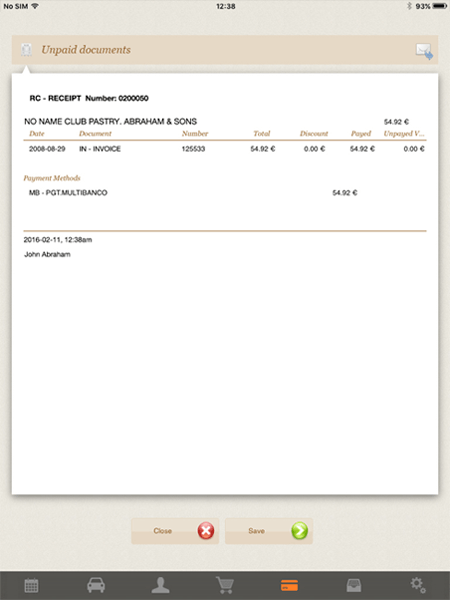 Moreover, the application enables various forms of payment, updating the current balances of customers and communicating, in real time, that information to management systems. 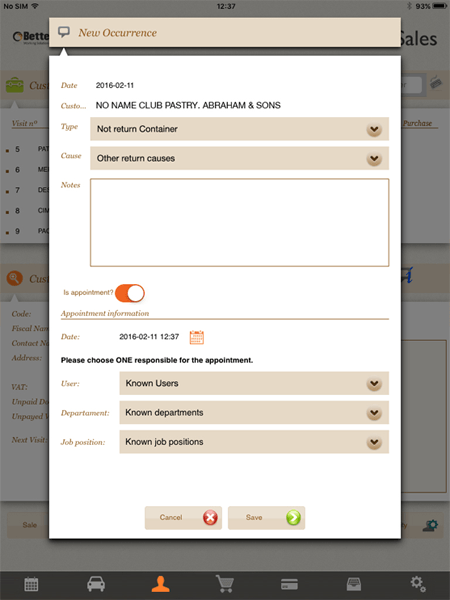 Current and future promotions or campaigns can be found in the application. 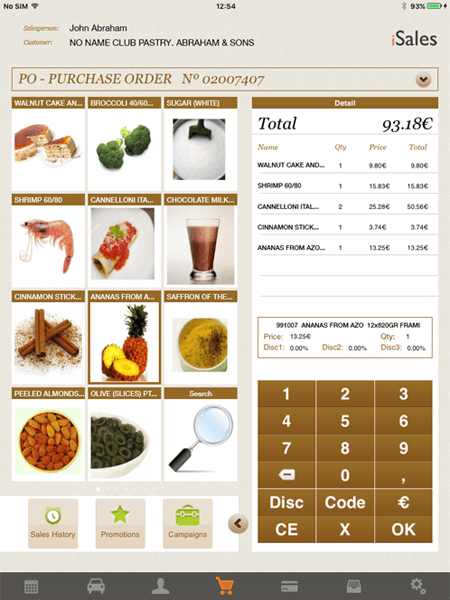 In conjunction with the product catalog, users know, immediately, the offers, quantity discounts and different prices to be charged for each product by type of customer or market segment. →Conjugation of product packages (bundles). iSales provides information on the evolution of the business and its performance via dashboards and reports of global and specific sales, which can be broken down by customer types, products or industries. Commercial and management teams have access, in real-time, to information of operational and commercial activities, providing less uncertainty into decision making. 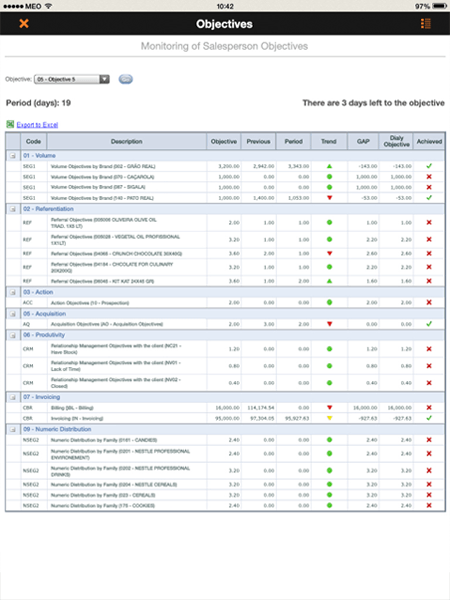 →Dashboards of efficiency and productivity by salesperson, teams, geographical area.